What is the Best Insurance for YOUR church? 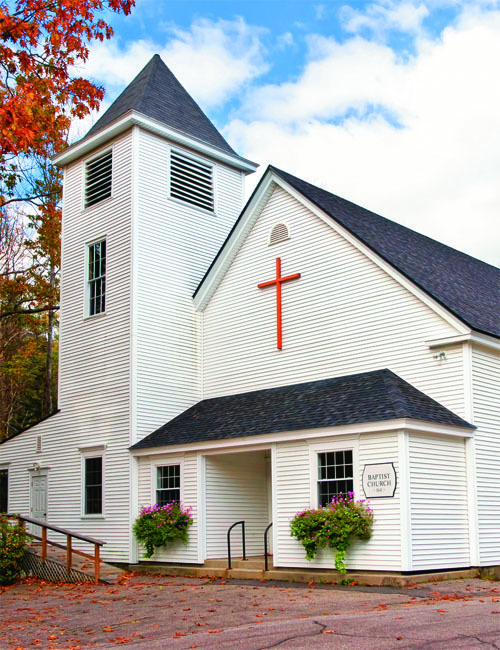 Property insurance offers coverage for the buildings and their contents that are owned by your church. While not every type of damage is covered (“wear and tear” for example is excluded), your policy will usually pay for repair or replacement of whatever property was damaged/destroyed. General liability insurance offers compensation for bodily injury or property damage that the church could be held “liable” for. This includes church members or non-members, but EXCLUDES employees of the church. The payment limits are written as two numbers—an “occurrence” limit and an “aggregated” limit (which is the maximum payout for all “occurrences” together). Sexual Misconduct Insurance (sometime referred to as “Sexual Molestation Insurance”) is coverage for the church should the church be accused of contributing to sexual abuse/molestation behavior. This coverage is NOT for the individual perpetrator, but rather for the church. Directors and Officers Liability Insurance (sometimes referred to as “Director’s liability Insurance”) is coverage for any board or committee members who might make decisions that violate a contract or by-law of the church. This would cover those individuals acting on behalf of the church even if the church isn’t specifically named in a suit. NonOwned/Hire Car Insurance is an extension of liability coverage for vehicles that do not belong to the church, but are being used for a church function. An example would be the youth minister driving to a youth ministers’ conference in his own car. This insurance is in EXCESS of the driver’s personal insurance and only applies for situations where the primary purpose of the trip is church related. 15 Passenger van insurance was once very difficult to find. However, we now have several sources for this type of coverage. There are some requirements for the drivers, but the difficult regulations of the past are no longer required. Workers Comp insurance policies are liability policies designed to protect the church against any liability arising out of an on-the-job injury sustained by an employee of the church. It does this by covering the medical costs (and some other incidental costs) of the injured worker. Umbrella liability insurance in overly simplistic terms is just extra liability coverage for your current policies. For example, if your church needed $1.5M to cover a counseling related lawsuit and you only had $1M of coverage, the umbrella policy would provide for the remaining $500K. Theft coverage is usually available from most companies, but sometimes a monitored alarm system is required. This type of coverage is designed to replace stolen property or (in some cases) money. Employment practices liability insurance usually refers to the hiring or firing of employees. However, it can also cover the church for certain types of harassment suits. Violent incident coverage is essentially extra payout for incidental expenses that may occur should a violent incident happen at your church. Some examples of this would be counseling for witnesses to a hostage situation or something similar. This would be in addition to your policy’s current levels of coverage. Religious Expression Liability is a relatively new coverage that applies to churches who might be sued for their theological stance on certain issues. For example, if a homosexual couple is denied use of the church building for their wedding due to a conflict with the church’s stance on scripture. We also offer Group Affiliation Policies for groups of churches that operate under a conference, section, district, etc.